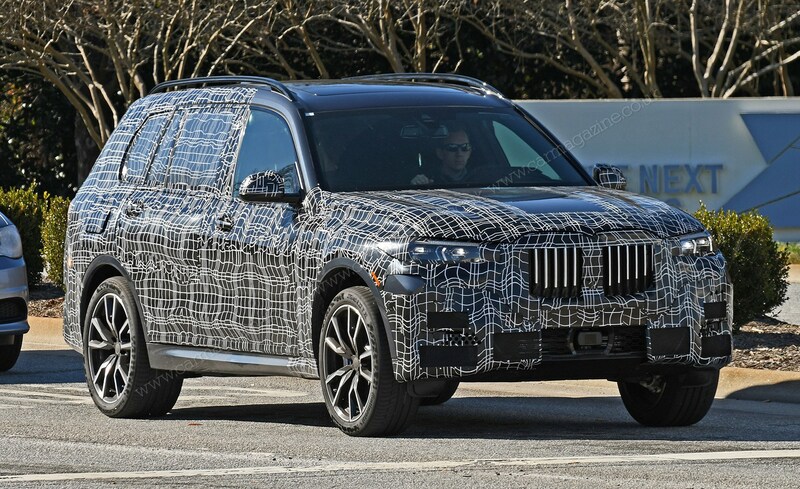 The BMW X7 is edging towards production - and you can see just how true to the 2017 BMW Concept X7 iPerformance it is in our latest spy photos. 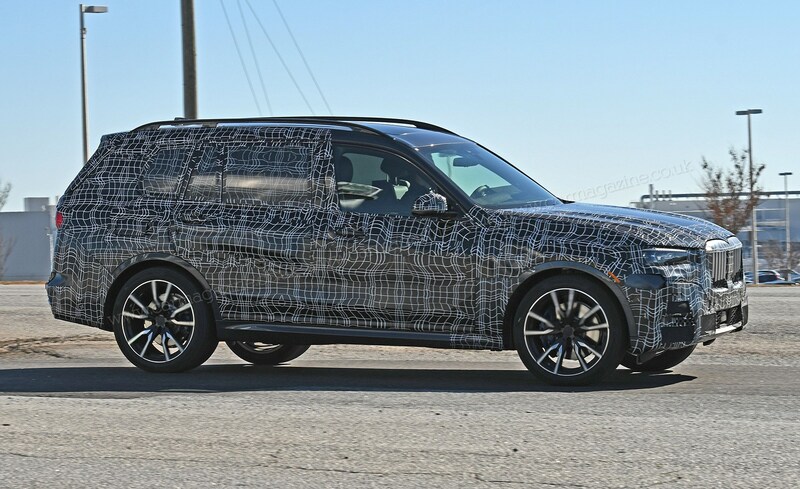 The latest stage prototypes are now heading out on test and our scoop photographer has caught it out and about near the US factory where it will be built. And, yes, that monster grille from the concept (below) seems to be present and correct. This thing has one of the biggest gobs yet seen on a BMW! 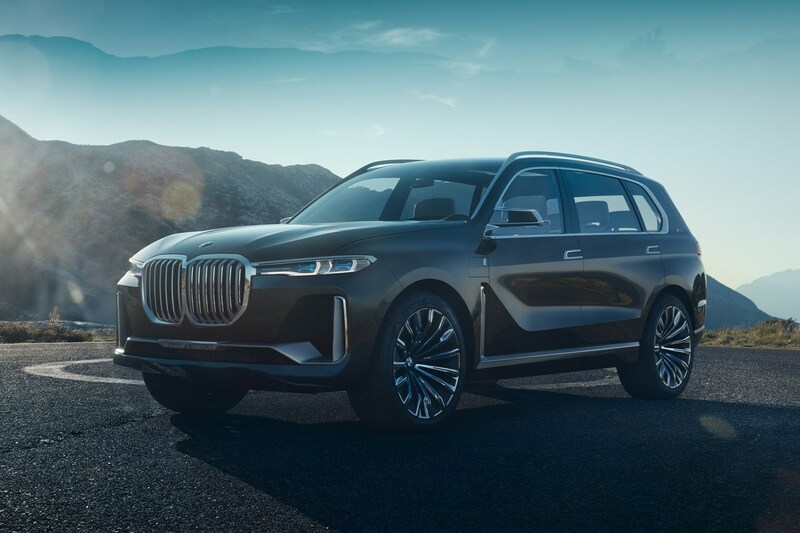 Seven seats will be offered in the X7, giving it a dose of added practicality, and the rear doors are longer to make it easier to climb into rows two and three. 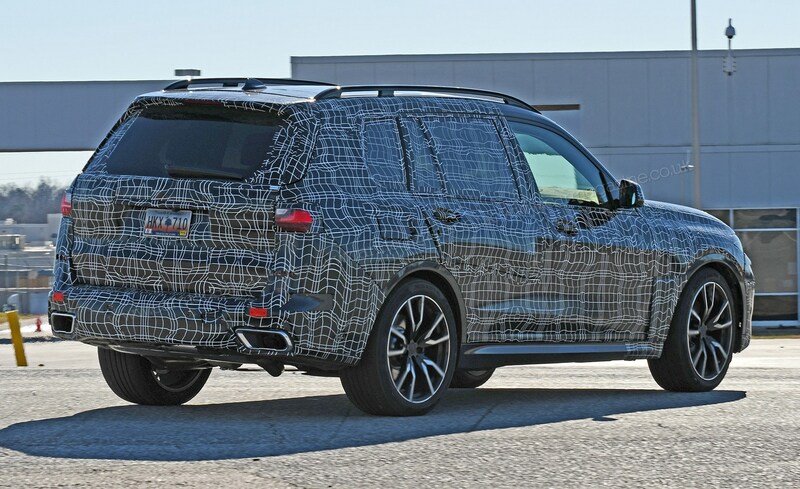 This is enabled by the stretched version of the CLAR platform, which also brings the familiar suite of six- and eight-cylinder engines seen on the latest 5- and 7-series ranges. 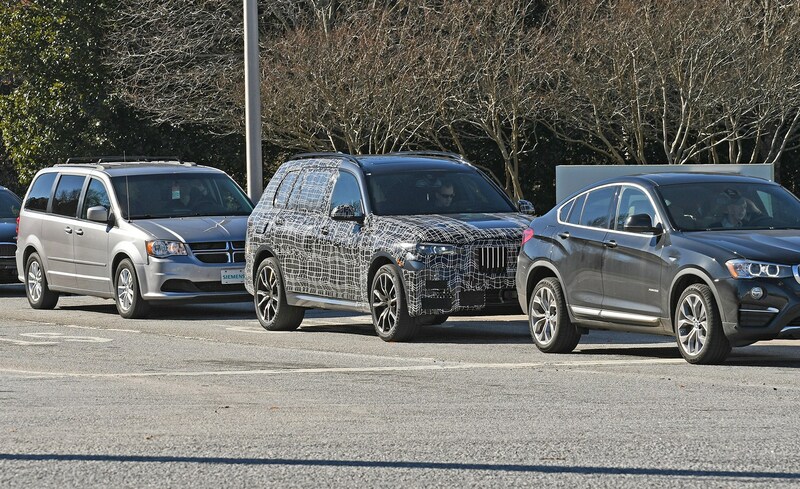 You can also expect a plug-in hybrid version. 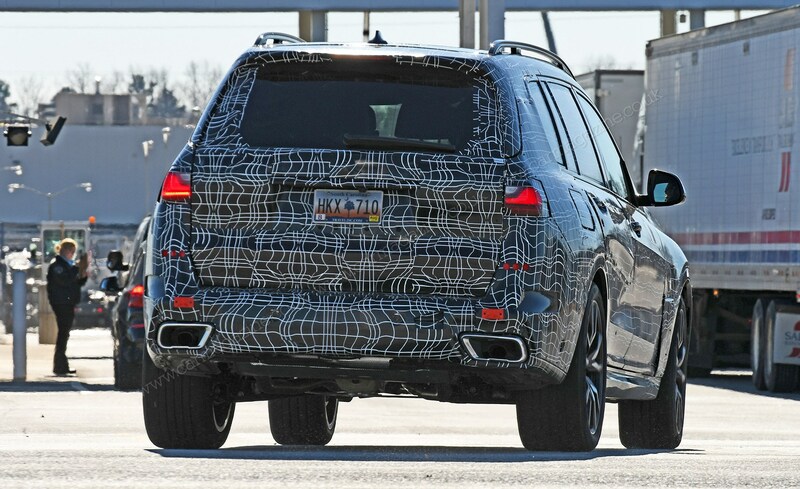 Word is, BMW might even drop the family V12 in too - which speaks volumes about the purpose of this giant SUV. It's all about maximum impact: hence the super-sized grille which looks to follow the 'upside down' look pioneered on the new BMW X2's nose. 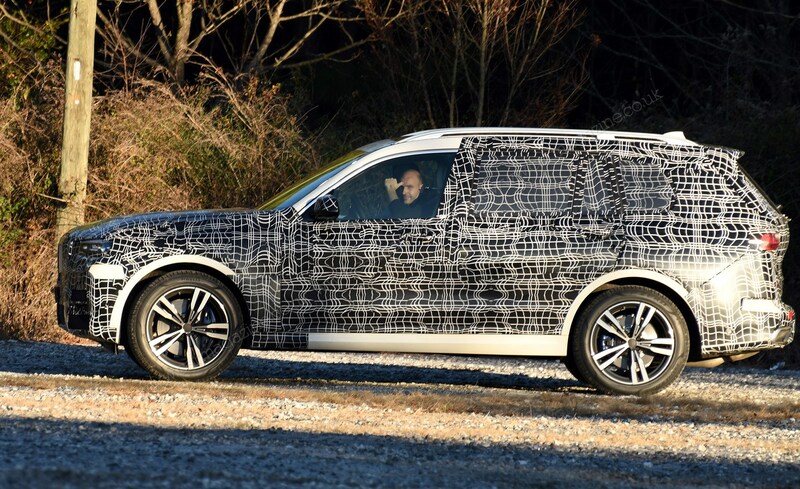 The new BMW X7 will be built at BMW's Spartanburg factory in the US from the middle of 2018.